Something old, something new, something borrowed, something blue. Why the color blue, and what does it stand for? Blue represents fidelity, modesty, and love. The Virgin Mary has always been shown in blue, ancient Romans wore blue bridal gowns, and before the 19thcentury, blue was the color of choice for bridal gowns as well. How do you add these blue elements into your wedding in a creative way? Who says you have to wear white shoes with a white gown? 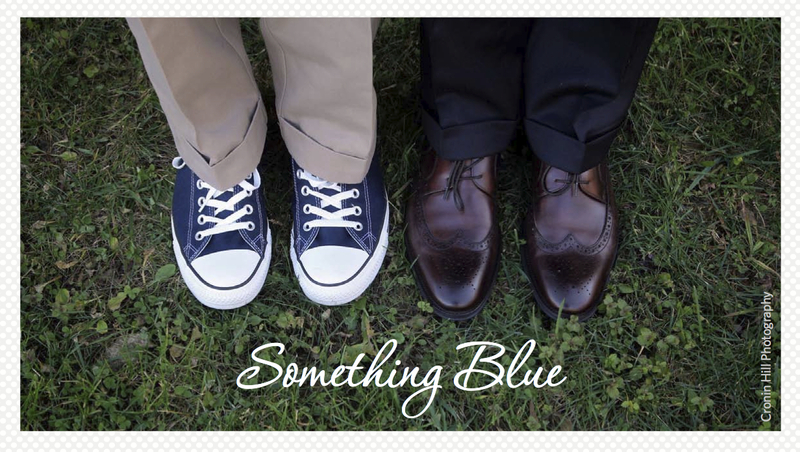 Wearing blue shoes is one of the easiest ways to incorporate the color into your wedding day. Wearing colorful shoes is a wedding trend we have seen over the past few years. No matter the season, you can always find a variation of blue flowers to incorporate into your bouquet. Had your heart set on an all white and cream bouquet? Instead, wrap your flowers in some blue ribbon to bring in your blue accessory. Not only is this a great place to incorporate blue, but also a perfect way to use something old, something new, or something borrowed. Your grandmother’s antique sapphire ring could be a perfect match for something borrowed, topaz earrings from a thrift store could be your something old, or some new, blue cufflinks for the groom give that pop of color! 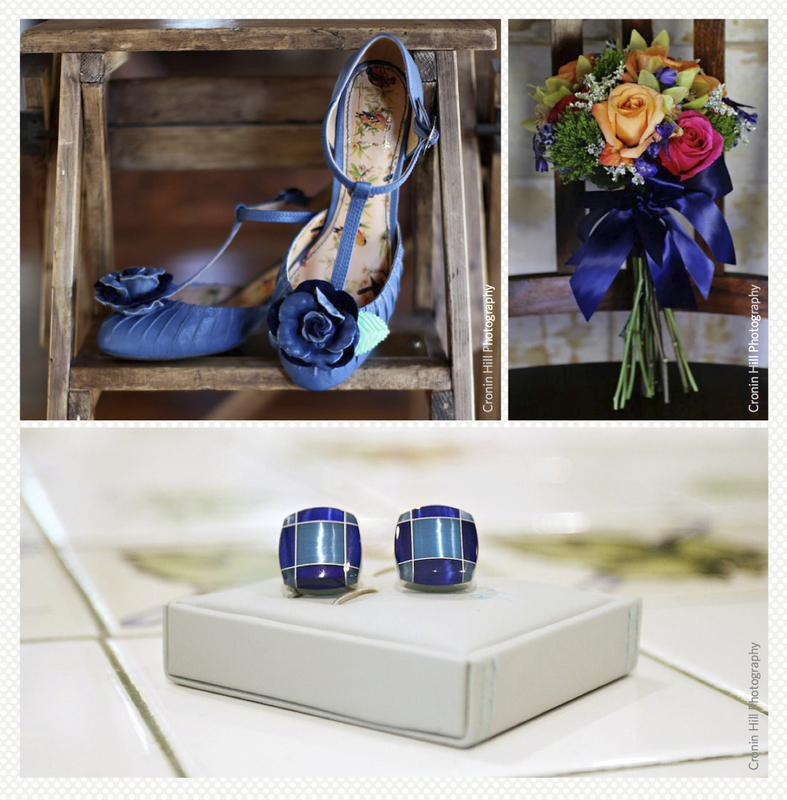 Even if your wedding colors don’t include blue, accessories are a great way to use this hue. Perhaps the obvious, but there are many different ways to inject blue into the décor. Table linens, vases, candle holders, lanterns, even wine glasses, all can be found in various shades of blue. 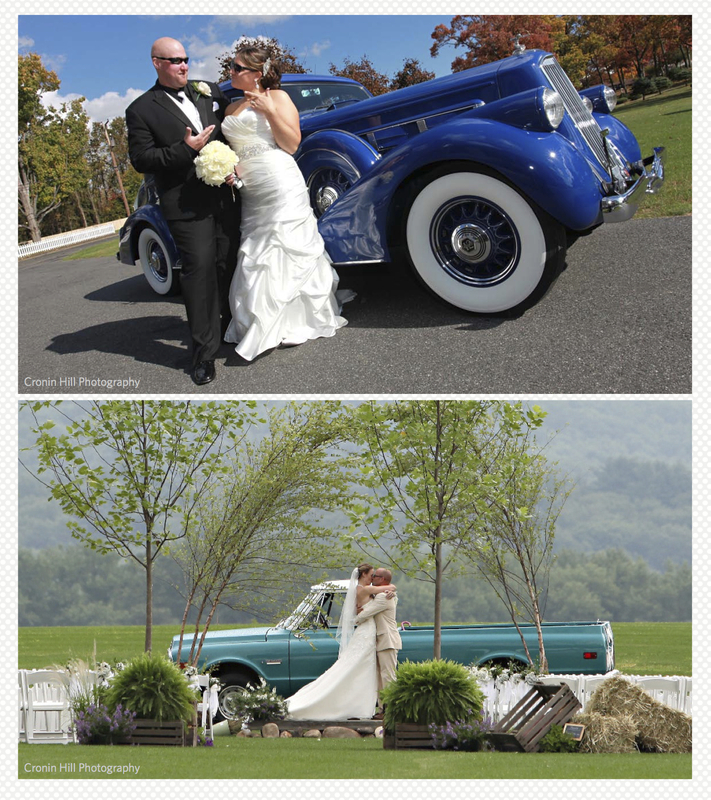 When you think of a limousine or an antique car for your wedding, you usually think of the vehicle being white, silver, or black. But why not get a blue vehicle? Not only is it a great way to use the color blue, but it is also very fun and different. 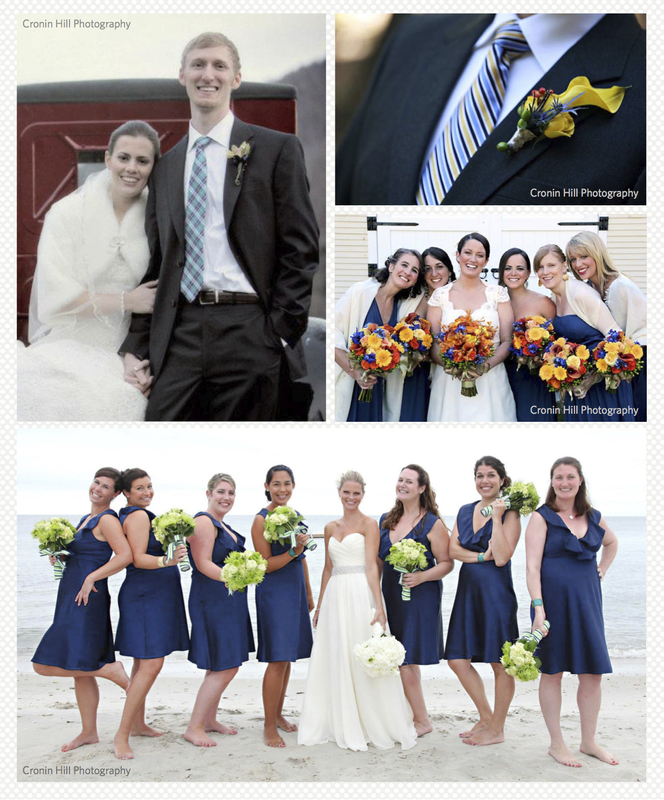 Of course, you could do this the easy way and dress your bridal party in blue! With a variety of shades, from navy, to aqua, to turquoise, you are sure to find a shade that suits your taste. Want only a little blue? Try blue ties or blue socks for the men, and blue shawls for the ladies or, for a fun and playful touch, blue converse sneakers for a more casual wedding. 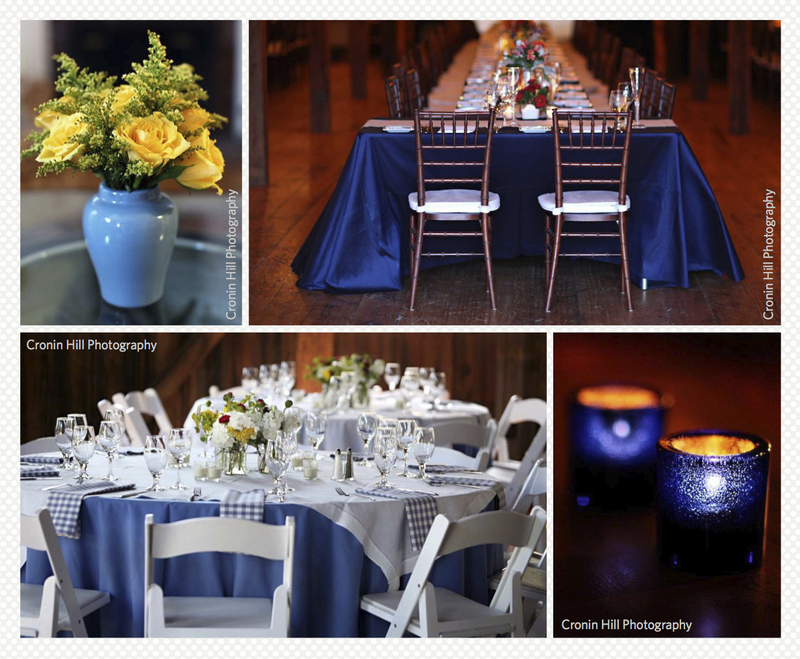 There are endless ways to integrate blue into your wedding. The sky is limit!